Killer Characters: You Found What? 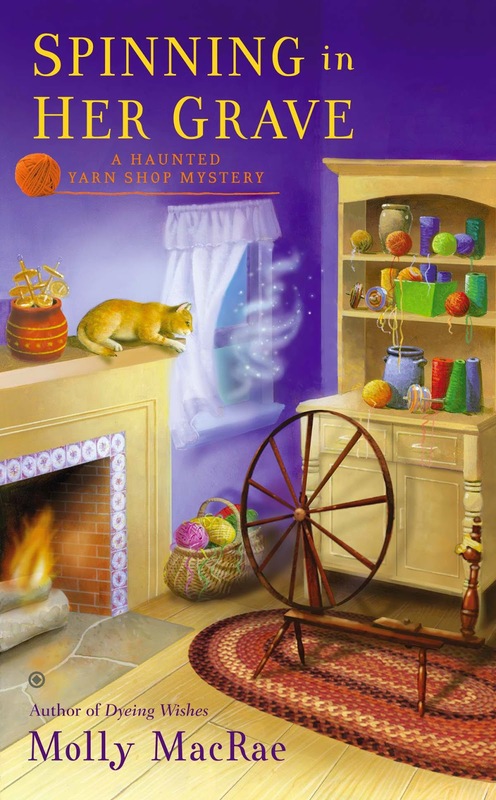 Kath Rutledge, here, from the Haunted Yarn Shop Mysteries. Did I tell you I’m volunteering out at the Holston Homeplace Living History Farm for their “Hands On History” program this month? Some of the TGIF (Thank Goodness It’s Fiber) volunteers and I are doing a unit on crazy quilts. Fun, right? I mean, really, what could go wrong? Heh. There might be the small matter of human bones turning up . . . Here’s an excerpt from Plagued by Quilt that will give you an idea how my crazy volunteer gig turns out. “Bones?” Geneva sat up straighter. I kept the slitty-eyed look for Ardis’ benefit and held up an index finger for Geneva’s. In the human-to-haunt sign-language system Geneva and I were constantly working to refine, a raised index finger was supposed to mean hold on or please be patient. At the same time, Geneva waved her arms wildly and shouted, “Read my arms! I want to hear about the bones!” Her contributions to our system sometimes gave me a headache. “Sorry, sorry, there really isn’t much to tell yet.” I massaged my forehead. “Do you need to sit down?” Ardis asked. I looked at Geneva, then at Ardis. Two unlikely peas in a pod, both sweetly concerned. “How deep did he find it?” Ardis asked. “I am insulted,” Geneva said. So that’s how my volunteer gig is shaping up. And did you notice what hasn’t occurred to Geneva yet? The bones – could they be hers? I think I might need something stronger than that glass of water Ardis went to get. Or maybe some distracting and cheerful stories. How did you spend your summer vacation? 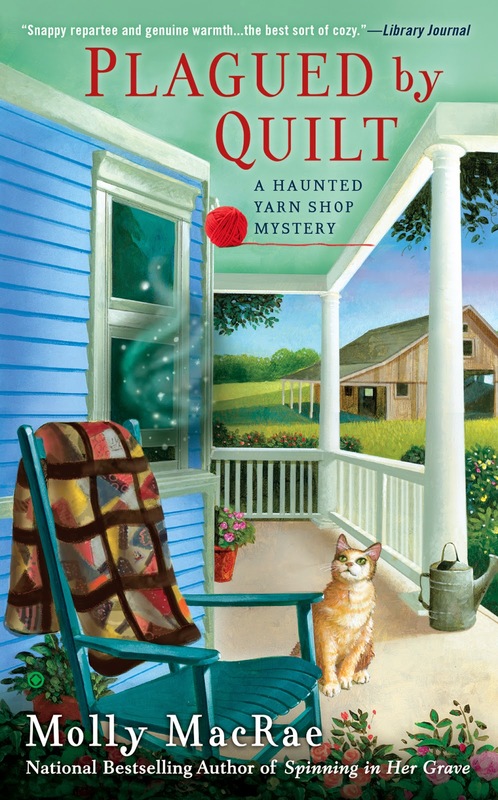 Watch for Kath, Ardis, and Geneva in PLAGUED BY QUILT, coming in November 2014, and available now for pre-order. 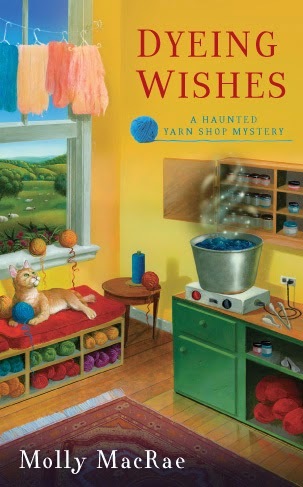 The award-winning, national-bestselling Haunted Yarn Shop Mysteries are available in mass market, e-book, large print, and audio wherever books are sold. Visit Molly MacRae on Facebook and Pinterest, or find her the first Monday of each month at Vintage Cookbooks and Crafts. The bones could be Geneva's? Eeek! Worrisome and eek - exactly! And if they are Geneva's bones, how will she react? And if they aren't, then whose are they? Of course, this is just the kind of mystery TGIF likes to work on. Thank goodness for friends. Safety in numbers? I am always eager to read the next installment! That's nice to hear, Cathy Grace. Thanks! What a tease! Can't wait to read it. Thanks for the sneak peek. I am spending my summer trying to get my new business ready to launch, with a fundrazr campaign and all kinds of crazy crafting.... my favorite part of my downtime is reading stories about other crafters like yours.